It’s certainly a region on the rise when it comes to internet access and usage, meaning that Latin America is an increasingly interesting target for international businesses and offers many opportunities. Of course to be successful there, its essential that you understand the specific needs, behaviours and preferences of your audience and create content and campaigns which resonate with your potential customers. Both a native of the region, and a specialist in online marketing within it, Zeph Snapp knows what does and doesn’t work and can provide vital insights to ensure your campaigns bring revenue not failure. Ahead of sharing these insights at the International Search Summit Seattle next week, Zeph gives a taste of what to think about when targeting on Latin America and what to expect from his talk. What do you most enjoy about working in international marketing? The opportunity. Did you know that English is the third most used language online (behind Mandarin and Spanish, respectively)? International users are completely under served, meaning that just doing things the right way from the start can result in massive returns. 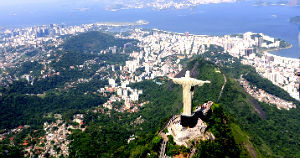 You focus a lot on Latin America – what is the biggest mistake you see businesses make when targeting that region? Wow, just one? Usually it is rushing in without considering the consequences of what they are doing, then trying to fix everything afterwords. It is easier to build an action plan than to fix a hot mess. More specifically, this usually means machine translations, poor support for Spanish language customers, stuff like that. 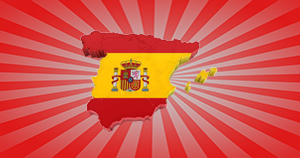 Are there any common characteristics between Latin American markets, that differ from the rest of the world? Not that the rest of the world isn’t this way, but Latin Americans are very focused on community and family. This deep connection means that we spend more time on social media (specifically Facebook), and prioritize the advice we get from people we know. This is what makes paid social channels so intriguing, especially with the psychographic targeting that Facebook allows. Of all the countries in the region, which is the one to watch? Colombia. 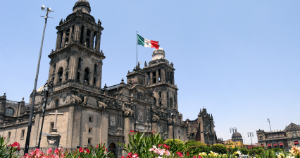 While Mexico and Brazil are more developed, the startup eco-system there is blowing up. That being said, I think that the focus should be on the region rather than a specific country. Our commonalities are greater than our differences. When you are presenting to seasoned marketers (especially alongside the experts that are lined up this year), it is always hard. I always try to provide as many actionable tips as possible, but it is my view that if you can get one thing you can implement immediately from every presentation, you will be OK. In this presentation, I think that the best takeaways will be related to how to identify keywords and entities when preparing for translation (giving translators proper context). If your company is going to get started with International Marketing, this is where you are going to increase your knowledge by a factor of N. Personally I am looking forward to Andy talking about Hreflang and Bill Hunt covering Global Enterprise almost as much as presenting myself. People forget, we are there to learn as well! 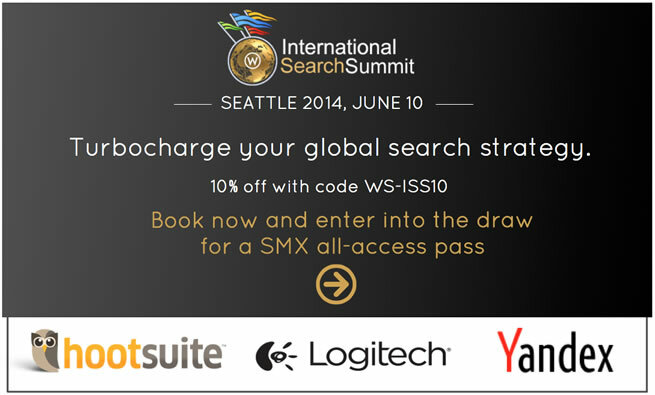 ISS Seattle takes place on Tuesday June 10 as part of SMX Advanced. Topics covered include Geo-targeting and Href Lang, Yandex and Russia, International PPC and International Keyword Research. Register with code WS-ISS10 to save 10%, and be in with a chance of winning an All-Access Pass to SMX Advanced.